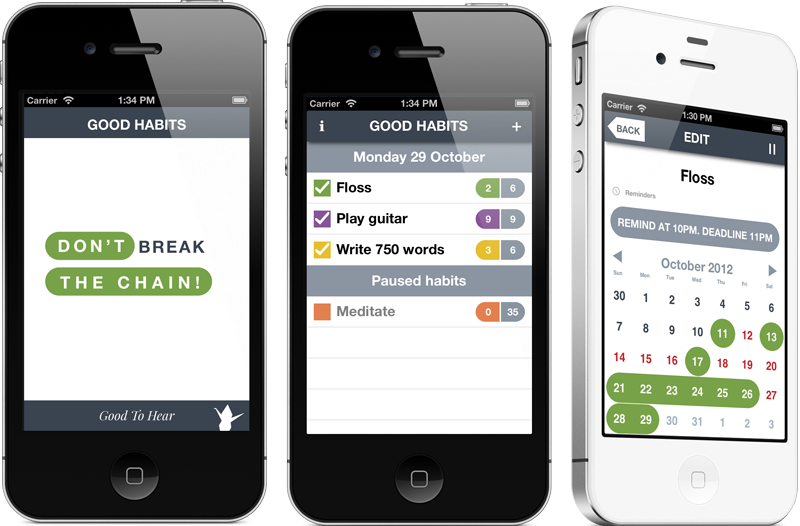 Good Habits is an iOS app that helps you build habits by doing something every day. Keep up your writing, do exercise, meditate or practice the piano. Just make sure you do it every day! The source code for this project is available on GitHub. It's written in Ruby using RubyMotion which is a clever new way to write iPhone apps with much less code than you'd usually need. Why not go and have a read, even if you're not a developer! Self-improvement is great. But is it making you happier? Get Happiness to measure your progress. We also made Pixel Face which is an iPhone app for taking pixelated photographs. Which is more fun than it sounds. More new things will be coming soon. Meanwhile, Michael Forrest is available as a freelance iOS, Ruby On Rails and HTML5 developer. Happiness is an iPhone app that helps you get to the bottom of your feelings and helps you improve your life.